Amanda Murphy Design: Love Birds and Forever (and SVG files) are now available as downloads for my international customers! Love Birds and Forever (and SVG files) are now available as downloads for my international customers! I've gotten lots of requests from international customers to make my patterns available as downloads too so that they can purchase them easily, so I've decided to try this out for my most recent two patterns - Love Birds and Forever. Of course, I would always ask that you support your local shop and buy there is possible, but this is an easy solution for those who don't have a shop in their area. Best of all, I've put up a new Downloads page on my site, where you can download the SVG field for both patterns FOR FREE. (Of course, you will still need to purchase the pattern to put it together.) It is something new I'm trying with the growing popularity of fabric cutters on the market. 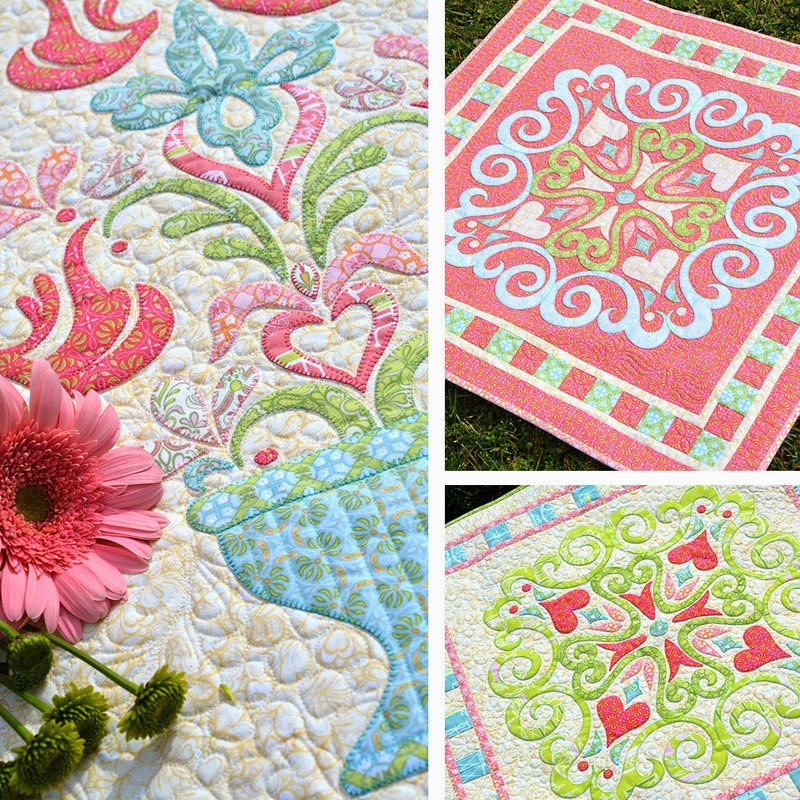 I think ecutters are still quite new for quilters and embroiders, but growing rapidly in awareness and ultimate popularity. Thus, I'm very excited to see you offering SVG files for your designs (where appropriate).